I know , I know. 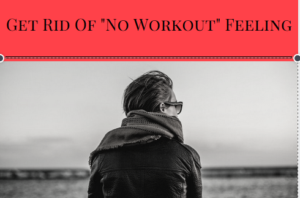 Its not that easy to Get Rid Of “No Workout” Feeling. I agree with you on this. But this is what will differentiate you with others who are still not able to Get Rid Of “No Workout” Feeling. Every weekend you plan to celebrate with your friends and almost every Sunday, you also make plans to start your workout journey from Monday. You wake up on Monday and then you loose it all. Promises that you made to yourself, commitments that you made to your self goes in vain and you press the SNOOZE button for next 5 minutes and then you wake up almost after 20 minutes. 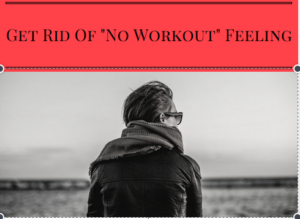 Follow Below SIMPLE,EASY,MOTIVATING and WHAT NOT ways to Get Rid Of “No Workout” Feeling. -> SET THE CORRECT WALLPAPER. Oh wow, you got that special quote about LOVE,HEART,HUMANITY,ETC as your wallpaper on your mobile phone. Very Good , Its time you get rid of it. Set a wallpaper of an Actor/Model/Bodybuilder/Fitness Model whom you idolize and always wanted to look like him. You get a lot of messages,calls everyday. GOOD FOR YOU. Now when ever you will get a call, you will see the picture of your idol and it would act as a gentle reminder for you to not get away from getting that physique. OK , I agree only setting a wallpaper would not give you that physique but it still gives you a start. It is always good to be positive and not think negative about anything. One of the best weapons or I would say the easiest way to be positive for workout is to do healthy self talk for at least 5 minutes a day. The HEALTHY SELF TALK would boost your moral and will keep you focused to Get Rid Of “No Workout” Feeling. To be consistent is the key to success. You have to just decide what you are going to be and start working on that. One important thing that plays a crucial role is to be surrounded by like minded people who can understand your goals and share their positive thoughts to keep you going. 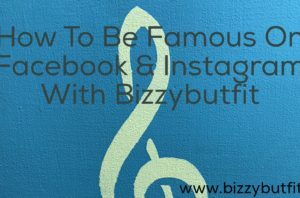 Bizzybutfit.com is loaded with the type of content to keep you motivated 24/7 throughout your life. 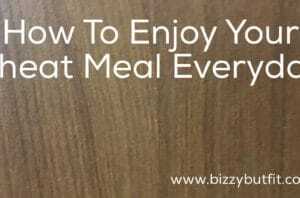 We here at Bizzybutfit, have made it very clear to ourselves to run this motivation voyage relentlessly. Let’s go for a workout session !! This phrase is less heard between friends. I mean less than the party invitations. It is always an add on to your motivation when your buddy joins you for a workout session. Some people needs a companion for workout to keep themselves up on the toes. You must have organized some or the other events in your college, its time now to organize a friendly competition inspired/centered towards fitness. Why not call or send watsapp invites to all your contacts for a 30 minutes jog every weekend and make it a habit. It is always loads of fun to go for a small jog session with your friends because you tend to loose interest if you have to go alone. It is always good to keep your smartphone/iPod updated with energizing music. Love songs are good but are still a NO for workout sessions. Make a separate playlist for workout and keep on updating it regularly. If you are used to it then I can UNDERSTAND your pain of forgetting your headphones at home and struggle through a silent workout. Yes you heard that loud and clear. Go BRAG about it ( Don’t take this the other way ). I mean go ahead and just discuss how and why you have set your goals and what are your plans to achieve them. Sharing your fitness goals develop a sense of fear and creates a necessity to achieve them before the deadline. You know now you have eyes on you. If you are successful then you will be praised and if you failed to achieve what you promised then you will have a hard time in front of your friends. ( We all have some friends who are waiting for you to make a mistake, Don’t We ). But I know, you are not one of them who will accept the humiliation or would turn your back, so discussing goals would always motivate you to move forward. 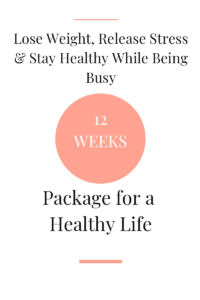 I wish you to BE BUSY BUT FIT and Get Rid Of “No Workout” Feeling.